During a week in which Governor Brown signed a bill, SB 358 (Hannah-Beth Jackson, D-Santa Barbara) strengthening pay equity protections for women, it may be helpful to know where and when that struggle started in California, and with whom: Kate Kennedy. The Pioneer Woolen Mills at Black Point in San Francisco was one of many new textile and clothing-related businesses employing hundreds of workers by the mid-1860s, including women. Less than ten percent of the Anglo population of California in 1850, by 1870 white women were over one third of the San Francisco population; most needed to work. Although records of women’s work were very poorly kept, we know that as women slowly settled in the city they worked in a restricted range of occupations. These included domestic services—keeping house, washing, cooking, sewing, and tending for children of the well-to-do—and commercial industries offering similar types of work in restaurants, laundries, hospitals, and clothing manufacturing. Their traditional “nurturing” social role gave women access to another important workplace. The framers of the 1849 California constitution based their ideas about public education on the “common schools” concept that supported education in the eastern states through local taxes and sale or rental of public lands. Public school advocates argued that in a self-governing republic, the state must provide free education to all children so that when they grew up they could participate knowledgeably in public affairs. But it had taken many local battles across the country to turn these ideas into reality for the children of workers and farmers. In California public schools proved difficult to maintain outside larger cities until the Gold Rush subsided, although by 1854 more than four thousand children were enrolled in 47 common schools for at least one quarter of the year. By 1860, San Francisco employed 72 teachers for six thousand registered students. 57 were women, teaching in seventeen schools, including two segregated schools for African American and Chinese children. 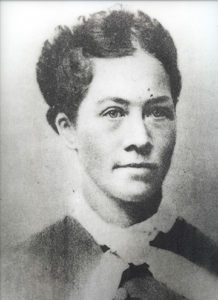 One early educator was Kate Kennedy. Kennedy emigrated from Ireland to New York with a brother and sister following the potato famine of the mid-1840s. She sewed clothes in the “sweating” system, in which subcontractors took work from master tailors, and paid women and children to bring materials home to work on. She and her sister saved enough money to fund their education as teachers, and to bring the rest of their family across the ocean. Kennedy and five sisters moved to San Francisco in 1856 and joined the teaching workforce. Kennedy also became a forceful advocate for equal rights for women and equal pay for female teachers. By all accounts a remarkable teacher, Kennedy was promoted to principal of North Cosmopolitan Grammar School in 1867. She was infuriated to discover that male principals were paid more than she was. Irish-American politicians helped her write and pass a state law guaranteeing “equal pay for equal work.” However, to get around the law, school administrators simply kept elementary wages lower, where they congregated women; in secondary schools, pay scales were higher, and they only hired men. Kennedy found herself, in public education, in a box just like the one that women confronted in the broader world of work: what economists call “discriminatory labor market segmentation,” meaning some jobs for women and others for men. Even so, she didn’t do badly. Educated, white, and upwardly mobile (within limits) she owned her own home and some modest real estate holdings when she died. Her trajectory was the model shared by many San Francisco working people: work hard, improve yourself, rise in the world. And like Kate Kennedy, who joined and participated actively in a number of labor organizations, many saw collective action as necessary to their successes as individuals. Purchase your own copy of Fred Glass’s historical California Labor collection now!